The population of Red-eared Sliders in the UK is largely a result of the illegal release of unwanted pets, where they exploit an ecological niche, as yet, untouched by any other species. In the UK they are omnivores, occurring in lakes, watercourse and wetlands; seeking out sheltered, sunlit areas where they often bask for hours. Branches over water, rocks and structures such as bird nests provide preferred basking areas. 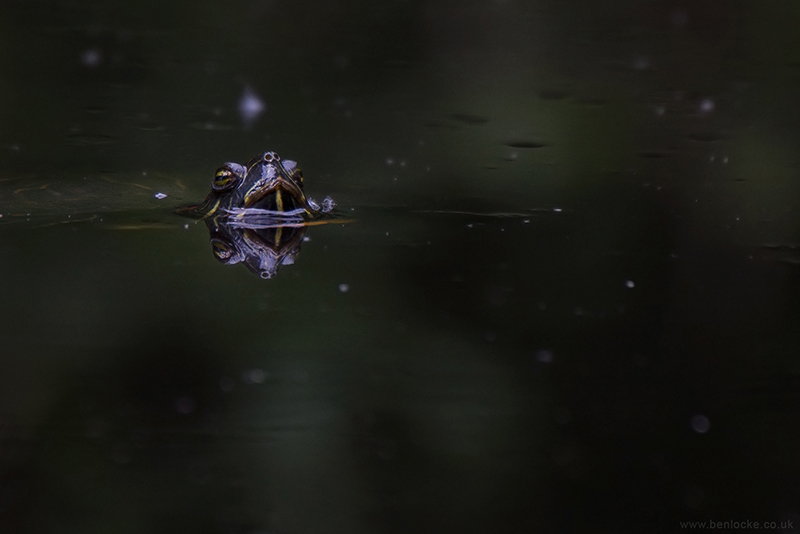 Red-eared Sliders target invertebrates e.g. dragonflies and their larvae, also bird nests and young birds. Their impact on birds is partly due to basking Sliders pushing nests down into the water together with any eggs; and partly due to predation of young birds by pulling them under water and drowning.